Brian Poe-Llamanzares on girlfriend Angelica Alita: "I think I've learned my lesson about being too open about what's happening in my relationship." Brian Poe-Llamanzares confirmed that he is in a relationship with Binibining Pilipinas 2016 1st runner-up Angelica Alita. But he refrained from giving details about how their relationship started. “I’d rather not talk about my relationship too much,” said Bryan, who’s better known in showbiz circles as the son of Senator Grace Poe. Angelica is a 21-year-old pastry chef who finished a culinary course at the Center for Culinary Asian Studies. She was once featured on PEP.ph (Philippine Entertainment Portal) for being a lookalike of Miss Universe 2016 Iris Mittenaere. PEP had a chat with Brian last Friday, May 12, at the launch of Time Master, a Filipino brand of watches which he owns. While his girlfriend Alita is one of the ambassadors of the brand, Brian also begged off from having his photo taken with her. FRIENDS WITH JASMINE'S BF. 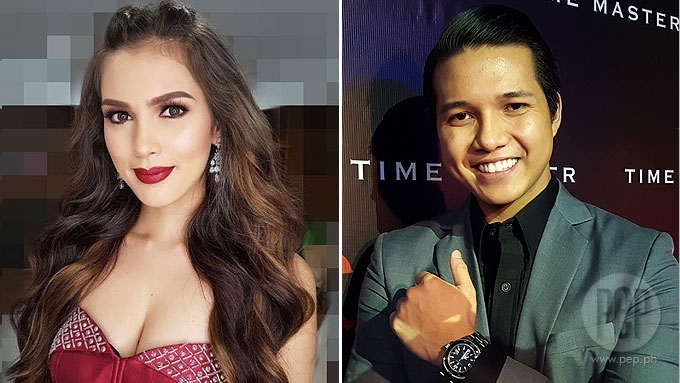 At this event held at Prive Luxury Bar in The Fort Strip, Taguig City, PEP reminded Brian that he was once romantically linked to former TV5 star Jasmine Curtis-Smith. Bryan, as it happened, was recently spotted taking a surfing lesson from a La Union shop owned by Jasmine’s non-showbiz boyfriend Jeff Ortega. Asked how they are connected to each other, Brian explained, “Jeff Ortega was a friend of mine from college. “I see Jeff often, every now and then. While he hasn’t seen Jasmine of late, Bryan had nothing but good words for her and her boyfriend. The 24-year-old entrepreneur said, “When the news came out that they are officially together and everything, I was really happy.